I've been really bad about keeping up this blog over the last few years. Seems like the decline of blogs and rise of other social media have kind of made them a little bit more obsolete. Still, I will try to share what I find. 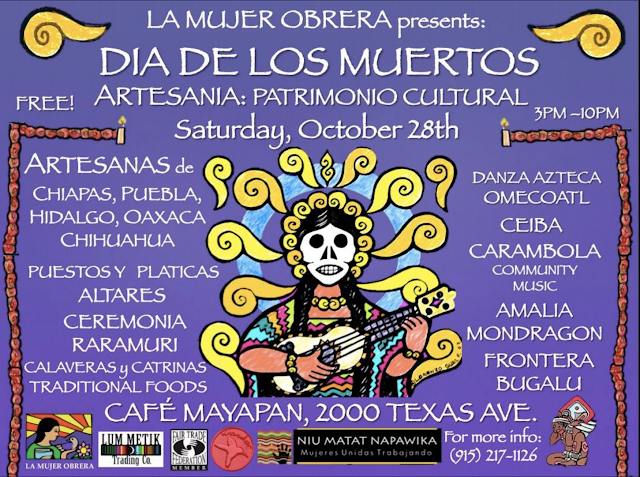 Here's some information on the annual celebration at La Mujer Obrera/Café Mayapan...always a favorite here in El Paso!